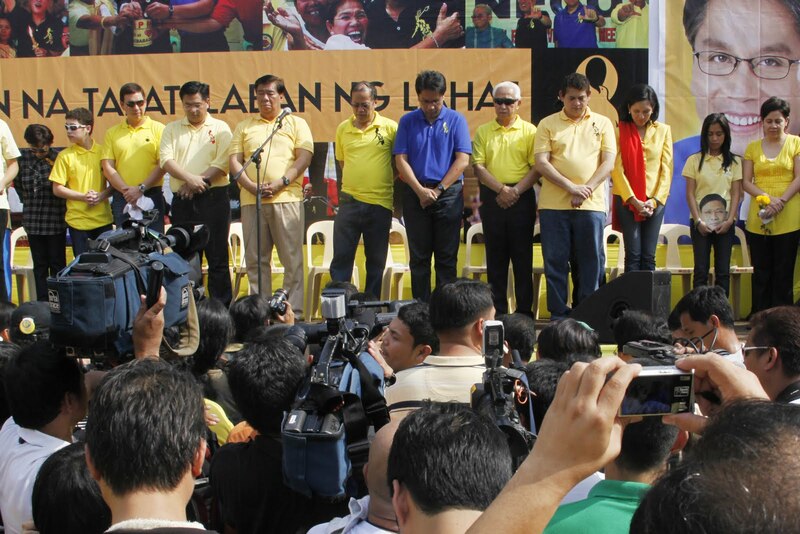 Aquino and Roxas, together with senatorial candidates under the "People's Reform" coalition, bow their heads in a minute of silence to remember the victims of the Maguindanao massacre before filing their COCs before the Comelec. 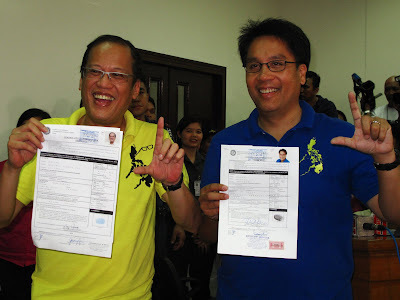 Aquino, Roxas and the LP slate condemn the murders in the strongest possible terms, and pledges to work for the redemption of democracy and lasting peace in the Philippines, especially in Mindanao. From left: Batangas Gov. 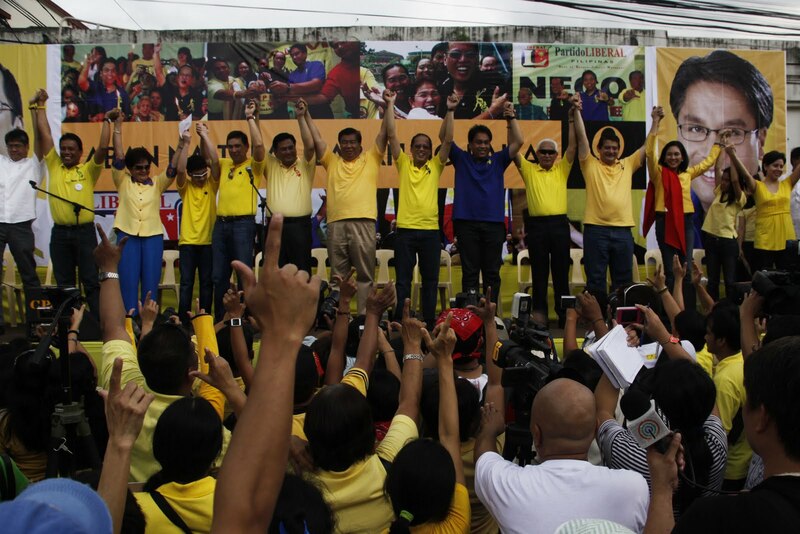 Vilma Santos-Recto, Ryan Christian Recto, former Sen. Ralph Recto, Muntinlupa Rep. Ruffy Biazon and former Senate President Frank Drilon; Aquino and Roxas; Manila Mayor Fred Lim; senatorial candidates Akbayan! Rep. Riza Hontiveros and Bukidnon Rep. TG Guingona; Aika Lim (daughter of senatorial candidate Brig. Gen. Danny Lim) and Pia Lacson (wife of senatorial candidate Alex Lacson). Aquino and Roxas, together with LP senatorial candidates pledge to supporters to continue the the communal fight of all for what is right ("laban na tapat, laban ng lahat").